Dame Tessa Jowell MP has officially launched the new Business Visits & Events Partnership (BVEP) website in a private meeting with the BVEP chair and vice chairs this week. The new BVEP website has a library of information, statistics and reports relevant to the UK events industry. The launch comes ten years after the MP, then in her role as Secretary of State for Culture, Media and Sport, launched the first incarnation of the site. Jowell was also Shadow Minister for both the Olympics and London in 2012 and has been a keen supporter of the events industry and the BVEP since its inception in 1993. 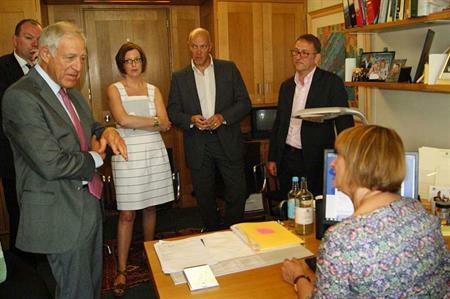 Following the launch, representatives from the partnership including Vice Chairs, Samme Allen, Chris Skeith and Richard Foulkes, Chair, Michael Hirst, and the site designer Stuart Forrester met with Dame Jowell, to discuss the changing nature of the events industry.